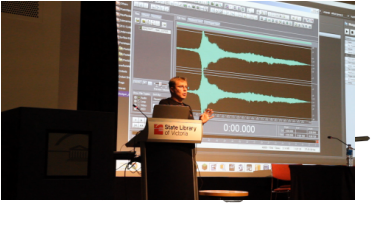 Sound Librarian offers a variety of training and production services including a total package setup service for studios using FMOD Studio or Wwise. We can come to your studio, spend time not only training your audio team, but working with them to establish your project. Sound Librarian will work with you right from pre-production to maximize your workflow, efficiency and creative freedom. Included in this service is an ongoing consultancy arrangement via email or Skype. As part of the setup service you will be provided with direct email or Skype access to assist your team in working through to projects completion. ​If you need help setting up your 360 Video or VR project, Sound Librarian can help you ensure you're on the right track from the very beginning, avoiding costly redevelopment towards the end of a project. An extension of the Setup service is to call on Sound Librarian near to the end of your project. This is an additional service that allows studios to seek support at the closing stages of a project. Again we will visit your studio onsite and assist in the implementation and final polish stages of your game project to help you get the best from your finishing touches.